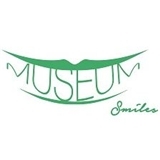 Museum Smiles Dental (Fort Worth) - Book Appointment Online! Welcome to Museum Smile Dental in Fort Worth, TX. We look forward to meeting you in our office where our focus is caring for your health and giving you a brighter smile. We offer the best of modern cosmetic and restorative dentistry. We are conveniently in the cultural district of Fort Worth on west 7th street. Dr. Sheri Audu and her knowledgeable team are dedicated to your dental care and understanding your needs as patient.